R744 (CO2) and R717 (NH3) DN-5.0 mm flexible hoses for refrigeration application. - Refflex International B.V.
HOME » R744 (CO2) and R717 (NH3) DN-5.0 mm flexible hoses for refrigeration application. R744 (CO2) and R717 (NH3) DN-5.0 mm flexible hoses for refrigeration application. Press release: REFFLEX introduces two new types of high pressure flexible hoses for NH3 and CO2 transcritical. Over 20 years ago, REFFLEX brought their first generation of flexible Polyamide hoses on to the market that are now being used worldwide. These DN-2.0mm and DN-5.0mm hoses are also suitable for use in HFC/HFO and in subcritical CO2 installations. In a transcritical CO2 installation, temperature and pressure can become too high for Polyamide hoses when connected directly to the discharge valve or cylinder head. To overcome this problem REFFLEX brings two new types of hoses to the market. Ralf Dunnebier, sales and marketing employee: "Development and innovation in the current market is important to meet the demand for flexible hoses for the benefit of new installations with natural refrigerants". This new hose uses a modified PA core material which can withstand high temperatures. The hose is reinforced with aramid between the core and the outer sheath. Aramid is a very strong synthetic fiber and thanks to high tensile strength and a melting point above 500 ° C, it is an extremely suitable material for this application. Aramid is also known under the brand name Kevlar of Dupont. It is used in military applications such as bulletproof vests. For this hose REFFLEX has chosen for PTFE (Teflon) core material, which makes the hose, besides CO2-T, also suitable for NH3 applications. 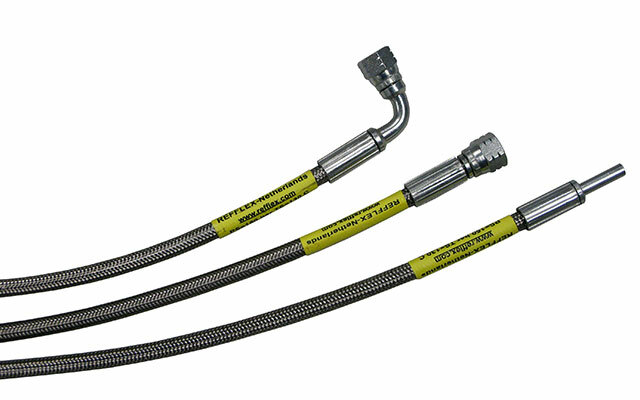 The hose is reinforced with a stainless steel braid. 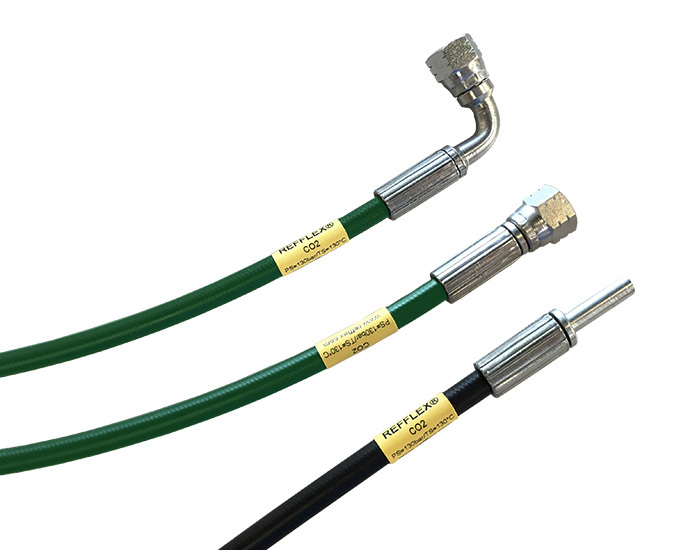 The regular DN2 and DN5 hoses (current generation PS = 90 bar) can be assembled with special Refflex hand tools. The new high-pressure hoses are not suitable for this and special tools are required. To ensure good quality, Refflex delivers these hoses prefabricated only. The hoses are supplied with the desired fittings 1/4 " flare, straight and/or angle, or with 6 mm tube for use with compression fittings, such as Eaton-Parker Dunnebier: "Of course all materials are in stock so we can quickly produce these hoses according to needs of our customers”.